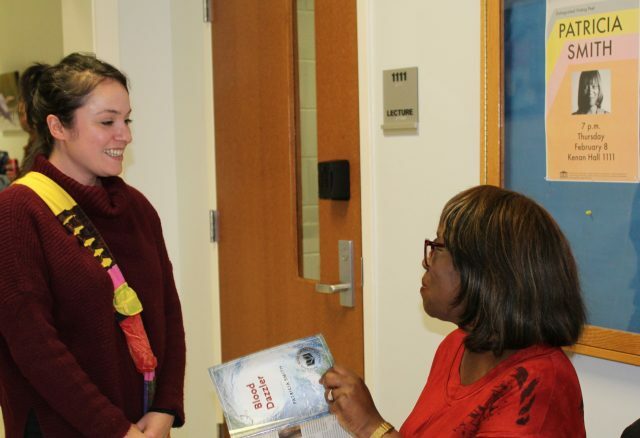 In our newest series, The Future of Publishing, we’re excited to reintroduce alumni of UNCW’s publishing program, including former Ecotone and Lookout staffers, who have gone on to careers in the industry. To help celebrate the launch of Lookout’s redesigned website, we begin with a profile of Hub City’s Meg Reid. 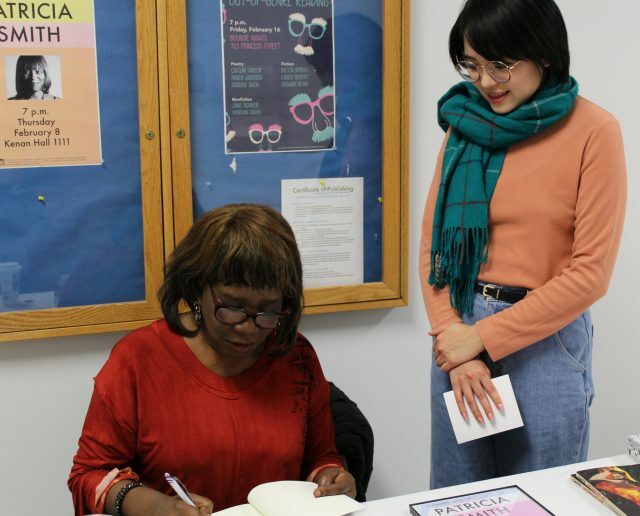 Lookout Books is more than a haven for books that matter; it’s a teaching press under the auspices of the Publishing Laboratory at UNCW, making it also a haven for apprentice editors and publishers. 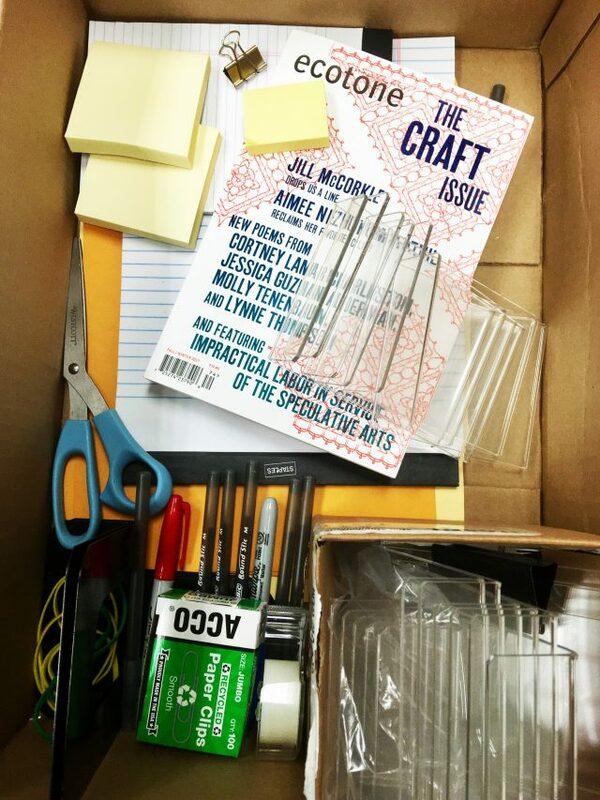 The imprint and its sister magazine, Ecotone, offer students hands-on opportunities to gain experience in editing, marketing, publicity, design, and everything in between. 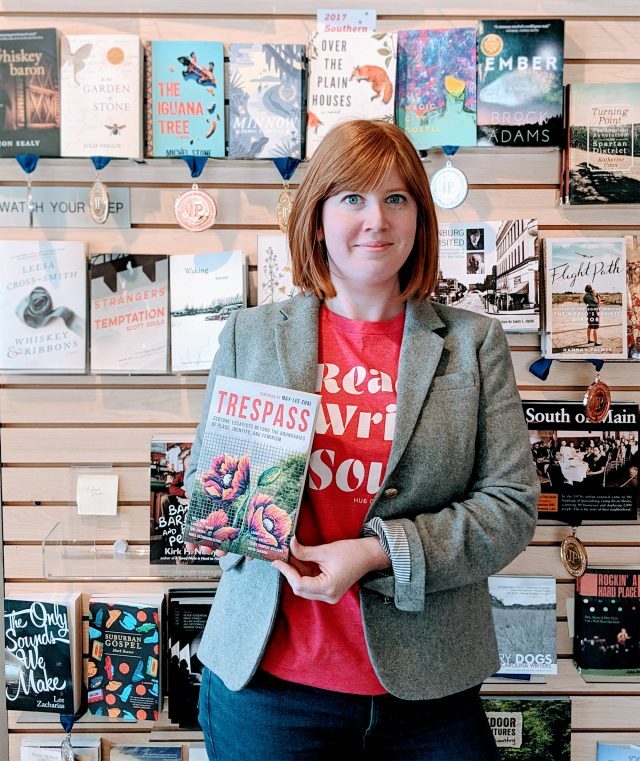 Meg Reid, Director of Hub City Press in Spartanburg, South Carolina, was among the first class of students to support the work of the newly founded imprint. The Lookout publishing practicum, taught by publisher Emily Smith, “completely prepared her for working for a small press,” Reid says, “which involves balancing a lot of plates and wearing a lot of hats.” While working for the press, she drafted grants, planned author readings and book tours, and wrote design briefs for artists. “I always liked that we were called on to talk about the books in public often. 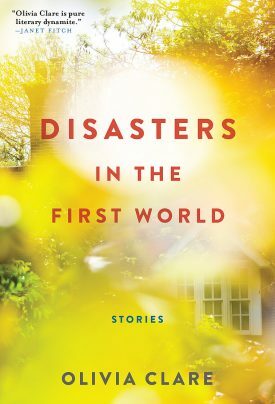 I learned how to summarize a book, while communicating its important themes and resonances—a skill I use often now, pitching reps and booksellers,” Reid notes. 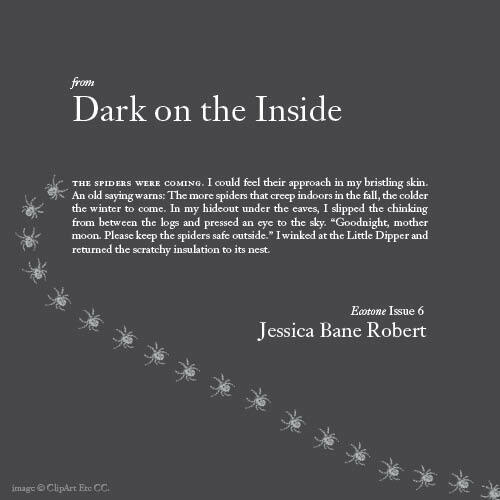 As director of Hub City Press, where she has worked since 2013, Reid now publishes between five to seven books a year in fiction, nonfiction, and poetry. She oversees the publishing program and helps realize Hub City’s mission to find and advocate for extraordinary voices from the American south. 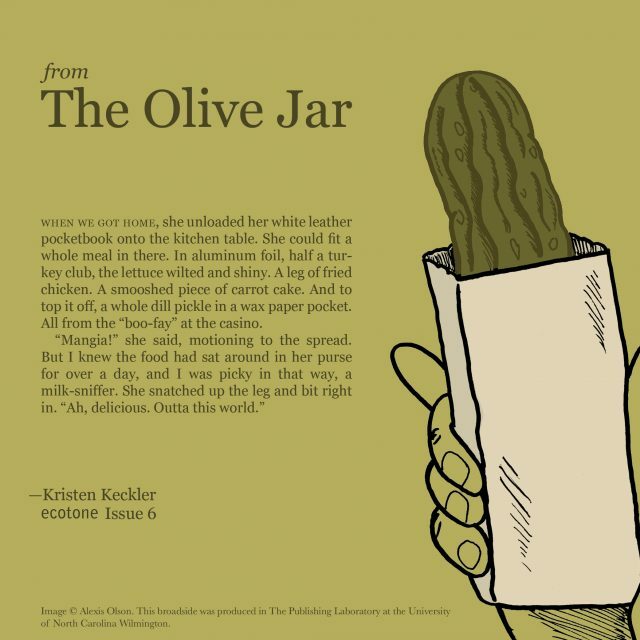 This installment of On Location comes from Ecotone contributor Olivia Clare, whose first published story, “Pétur,” which was originally published in Issue 14: The Abnormal, and won a 2014 O. Henry Prize. When I took this picture, it was for someone who had never been to Louisiana. This magnolia lives in Baton Rouge in my father’s front yard in a small magnolia tree. In the house in which I grew up (not the house to which this magnolia belongs, but a hazier, duskier, years-ago place) we had two large magnolia trees, each the size of a tiny cottage, or at least that is how my child-self thought of them. I don’t remember ever climbing these, as much as I like to think I did. 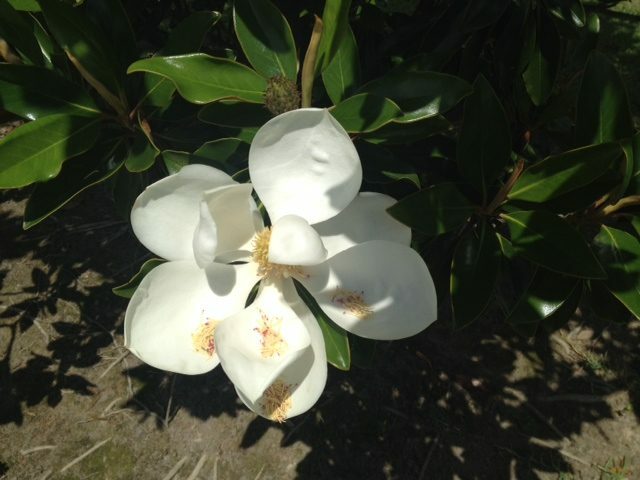 It is not at all original to write about a magnolia or about trees from one’s childhood front yard. Yet the flora and fauna from my childhood, still existing somewhere in me, in my interior child-life, are the places from which so many of my words and stories bloom. What, I wondered/wonder, are these non-human forms that live with us just as deeply as human forms do? I trusted every plant I knew. They concealed nothing. They asked nothing. And if I was obstinate or grouchy, they did not mind. They even had names—my grandmother’s roses, especially. They came with names, and you could give them your own. Leona or Hilda or Beau. You could name many things, I discovered. There are certain places I’m not able to write about until I leave them, and I did not write about Louisiana until nearly fifteen years after I’d left. I visit often. Several times, I’ve driven by my childhood home. I have even, with the new owner’s permission, taken photos, which never come out the way I expect or want them to. The roots for nostalgia are Greek. They mean “homecoming” and “pain.” We know you can’t go home again, but you can drive up to it. You can drive into the driveway of your childhood home, turn off your car engine, listen to the birds in the magnolia tree in the yard, look at your favorite window, the shutters, the roof, the eaves. And if you are very lucky, and if you look closely, you might see people coming out of the house, perhaps family members or friends, and you can speak to them, ask them how they are, and remember. I think too of all the things I do not remember, and the things I have never written down, and wonder where those exist. There is a place. They—these objects, events, walkways, storefronts, bridges, lakes, somehow sadly too far back and now outside my memory—accumulate. They bring me here, bring me up to this day, though I can’t now name or know them. 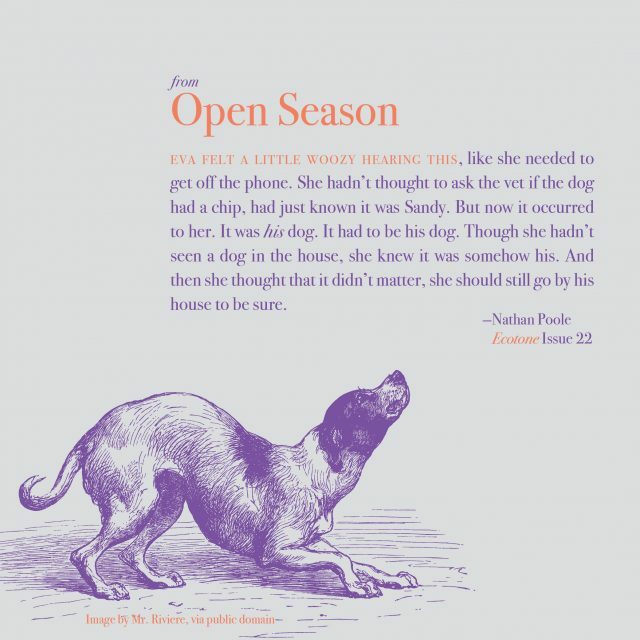 Her poems “Fixed on the Next Star,” “One Way to Run from It,” and “How Mamas Begin Sometimes” appear in Ecotone Issue 13. With a background in playwriting, performance, and journalism, Smith is a professor at the College of Staten Island and in the MFA Program at Sierra Nevada College, and an instructor at the annual VONA residency and the Vermont College of Fine Arts Post-Graduate Residency Program. A past Guggenheim fellow, she is a two-time winner of the Pushcart Prize and a four-time individual champion of the National Poetry Slam, making her the most successful poet in the competition’s history. 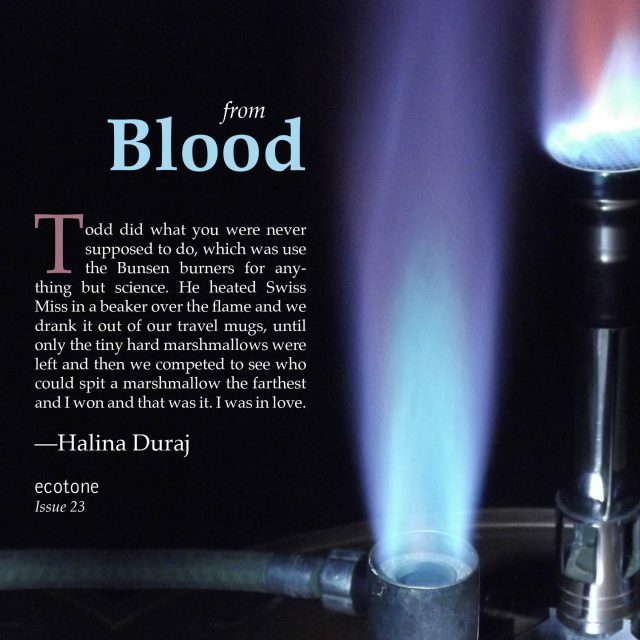 Subscribers, click to read “Blood” by Halina Duraj from our Spring/Summer 2017 issue—or treat your valentine to a subscription. 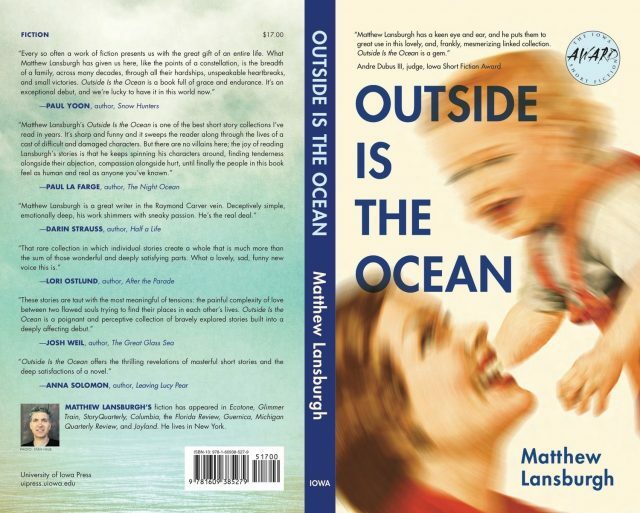 We’re thrilled for Matthew Lansburgh, whose story collection, Outside is the Ocean, winner of the Iowa Short Fiction Award, publishes this week. 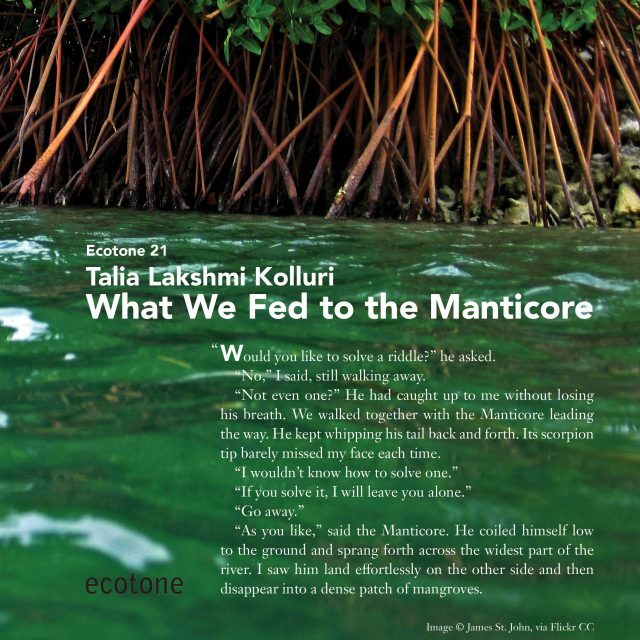 The title story appears in the current issue of Ecotone. We hope you’ll check it out!